CLICK HERE FOR ARTWORK DETAILS AND OPENING NITE PHOTOS!! 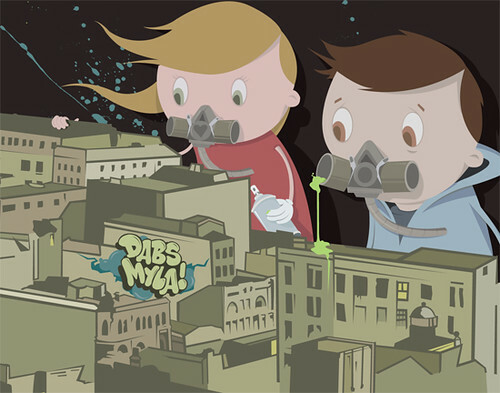 Partners in Art, Crime, and Love, Dabs and Myla are both illustrators and graffiti artists originally from Melbourne, Australia. They uniquely work on all their paintings together, creating a creative balance of "Sweet" and "Sour". 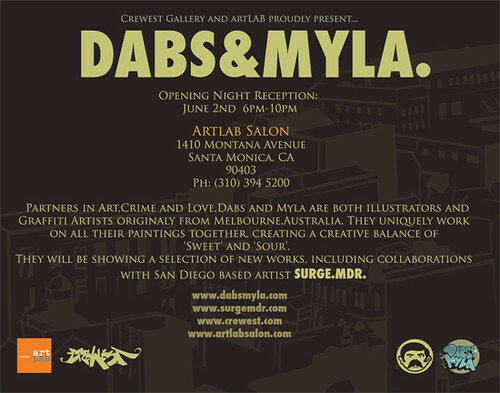 They will be showing a selection of new works, including collaborations with San Diego based artist SURGE.MDR.